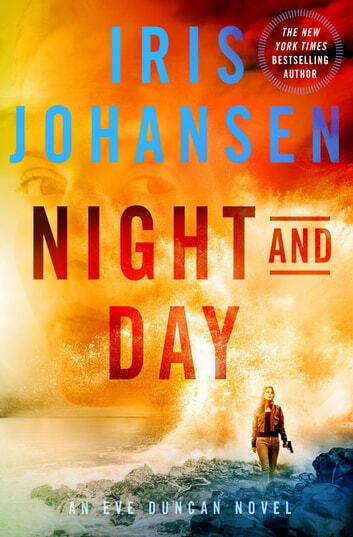 Full of danger, intrigue and heart, Iris Johansen's New York Times bestseller, Night and Day, is a breathtaking, high-energy adventure that’s sure to keep readers riveted from the first page to the last. Forensic sculptor Eve Duncan risked it all to protect Cara Delaney from the enemies who want her dead. The journey has led them from California to a remote mountain in the Scottish highlands--and earned Eve the distinction of becoming their next target. When, despite all precautions, Cara is taken, Eve must hunt down the very people who want to kill her in order to save the young girl. At a time in her life when she has more at stake than ever before, she unhesitatingly puts it all on the line in a pulse-pounding mission of rescue and survival. I really enjoy readng the Eve Duncan series, I cant wait to read more.. You just do not want to put them down. The latest book in the Eve Duncan series that culminates a trilogy about saving a young girl from certain death. Fast paced and a reunion of characters from across many past installments in the series makes for a fun and exciting read. This is another series that I have chosen to listen to on audiotape and the reader does a great job of helping flesh out the characters. If you like international mystery and intrigue then I recommend this book, but I would not recommend reading it as a stand alone book. If you aren't interested in reading the entire series, I would at least recommend that you read the last 3 books (this one included in that 3) as a trilogy inside the series. You will not be able to put it down. Just like all of Iris Johansen's books it will leave you anxious for the next book to come out. In the conclusion of her latest trilogy starring forensic sculptor Eve Duncan, Iris Johansen takes us on a journey of excitement and danger while still holding the quasi-family that Eve holds dear close to the heart of everything! A little slower than the first two in the series, but satisfying none-the-less. Eve is on a mission to keep eleven year old Cara safe from the danger that haunts her. She’s putting herself in harms way over and over again to do so, which doesn’t sit well with her boyfriend Joe. Will he be able to pave the way for her this time when she runs full steam ahead like she always does?